Following a slew of lawsuits against opioid manufacturers by local and state governments across the country, Bucks County officials announced Tuesday that they are filing suit against three opioid distributors and 14 pharmaceutical companies, including Purdue Pharma, the manufacturer of OxyContin. Bucks County officials said in a news release that 232 people died of overdoses in Bucks last year, "an 89 percent increase over the last two years." They said the costs of the opioid epidemic "have left the county strapped on many fronts," including hiring new employees at the county coroner's office, creating a "drug strike force," and funding a $20 million prison expansion and an additional $4 million to house local inmates in other prisons. The lawsuit says manufacturers "misled the public about the dangers of prescription opioids," and the distributors "disregarded their obligation to monitor distribution and halt any 'suspicious sales' to protect the community from an exorbitant flood of opioids," according to the release. 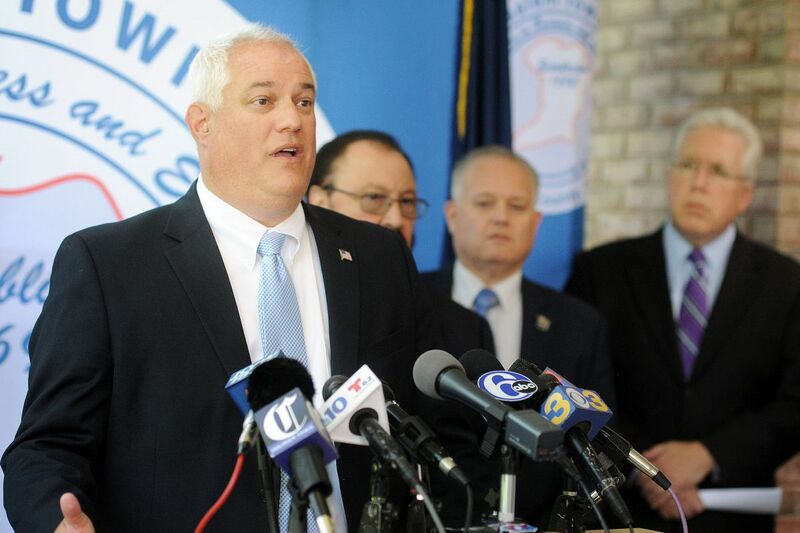 Since neighboring Delaware County became the first county in the state to sue pharmaceutical companies over the local costs of the opioid crisis last year, other municipalities have taken similar action: Philadelphia has two separate cases in the courts, filed by the District Attorney's Office and the City Solicitor's Office; and last August, Bensalem, in Bucks County, became the first town in the region to sue opioid manufacturers.